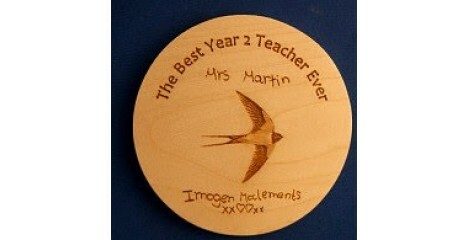 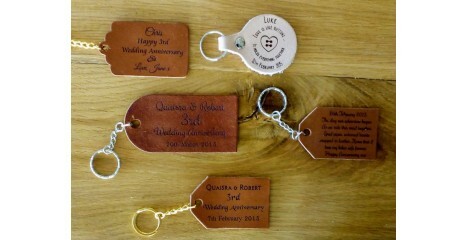 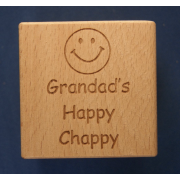 Personalised wooden baby blocks and name blocks in any design you like as Baby keepsake gifts. 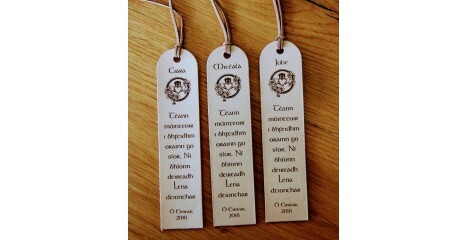 Unlike other baby name cubes on the internet, the price is for 5 sides engraved, with the option of paying a little extra for the base to be personalised as well. 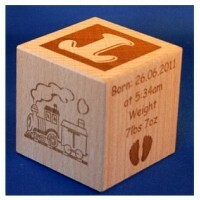 They are also larger than most baby blocks for sale with lovely slightly rounded edges for a smoother line. 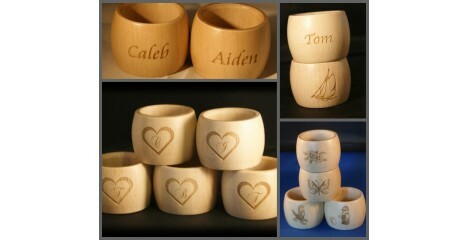 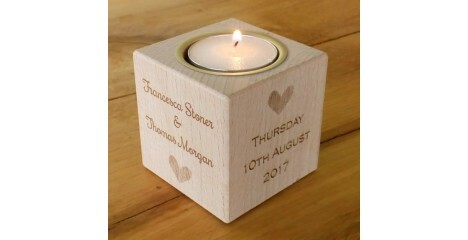 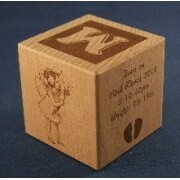 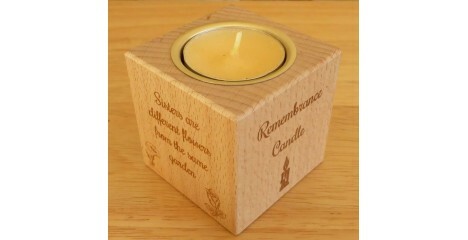 Let us know your ideas for these engraved wooden cubes for Babies and Children. You can have anything you like. 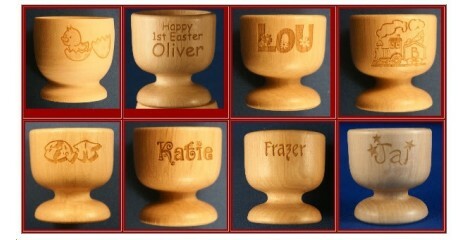 Some ideas are shown in the table below but you can have anything you like. 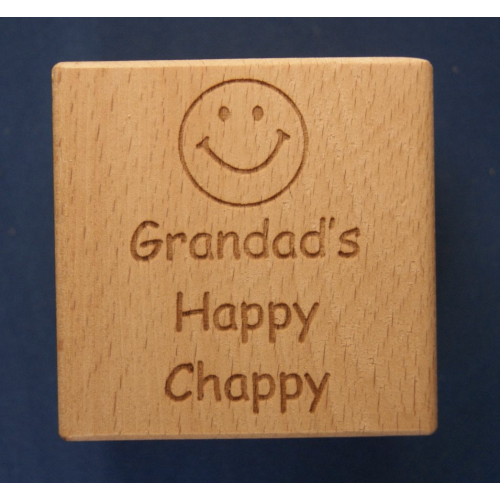 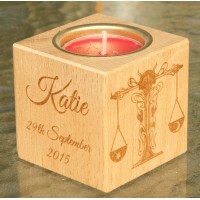 These personalised wooden building blocks measure 60mm cubed and are made from solid beech. 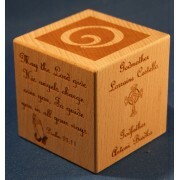 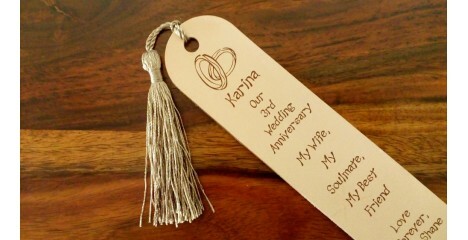 Engraved on 5 sides or 6 sides. 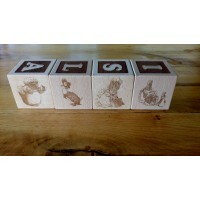 Choose an initial for the top, and whatever you like on the other 4 or 5 sides.